Detail from "All Life is Sacred"
Although His Holiness must as part of the tenets of Buddhism think of and call himself “a simple monk” many of us see him as far, far greater. This detail is almost life size. 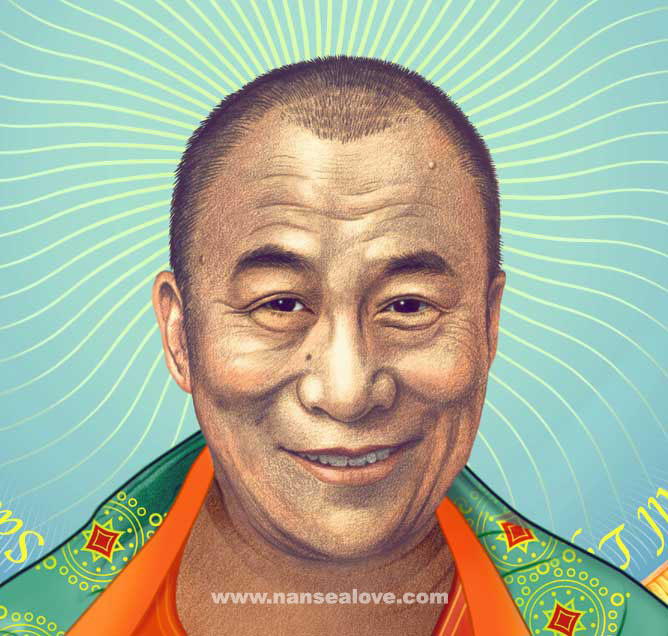 Ten percent of profits from the sale of any artwork with the image of His Holiness will be donated to the Tibetans for a Vegetarian Society (t4vs). His Holiness the 14th Dalai Lama is the first Dalai Lama to be thier Patron-in-chief. For latest story on His Holiness embracing vegetarianism click here.